When you are dependent on alcohol, it reaches a time when enough is enough. One gets tired of the hangovers, blackouts, and waking up the following day not knowing what happened yesterday night. You get tired of lying and frustrating your family, relatives, and friends over and over with your drinking behavior. You want to quit drinking, but so many things come into your mind. You get worried about how you will approach life without alcohol. One wonders how people will think of them when they are sober. Also, some people who have ever stopped drinking know how it feels to stay without the drink. Terrible headaches, dizziness, insomnia, muscle cramps, and many others. Once you call it a quit, you should develop a positive attitude towards your decision. Believe that you can make it. Sometimes in life we fail because we don’t believe in ourselves. Instead of focussing on the negativity, look at how life, will be when you no longer go to the club. Hangovers will no longer be the talk; you will have more quality time with your family and at work. Most importantly, you will have saved your health from liver cirrhosis, heart complications, kidney diseases, and many others. You want to stop, but you have no idea what alcohol detox is. Relax; I will give you various things that you should know about the process. Alcohol detox or detoxification is the initial step in treating alcohol addiction or alcoholism. Detox is the process in which the body gets rid of alcohol in your system. Alcohol detox period varies among individuals and can take days or weeks. It is the first phase of recovery that prepares the body to begin treatment in a clean state. Detox alone isn’t enough to treat alcoholism. A long term plan should be followed to ensure complete recovery from addiction. Withdrawal symptoms accompany the process, but there are medications that have been approved to help one in relieving the pain. Detoxification period can be quite dangerous and painful due to some serious withdrawal symptoms such as delirium tremens and seizures. Therefore, one should only undergo it under the supervision of a healthcare professional. If you drink too much alcohol for a long period, you might experience mental, physical, and emotional problems once you stop or if you reduce the quantity or frequency of drinking. This is referred to as alcohol withdrawal symptoms. 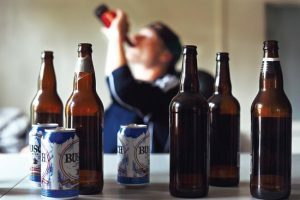 They range from mild to severe and depend on various factors such as quantity of alcohol you used to drink, how often, and the presence of other mental or physical health conditions. 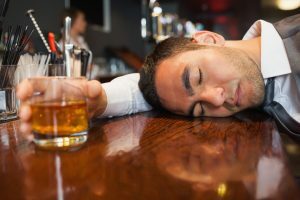 If you are a moderate drinker or you only drink occasionally, there is a high probability that you will not experience the withdrawal symptoms when you stop drinking. However, if you are a heavy drinker your symptoms might be very intense and you should not detox at home or try to quit without consulting the doctor. There are various factors that cause alcohol withdrawal. Alcohol is a depressant that suppresses the function of the brain. It slows down all the processes that occur in the central nervous system. Alcohol impacts the brain’s part that is responsible for “flight or fight” function. Ideally, this is how the brain responds to danger and prepares the body either to run or fight back. By relieving the pain, one is able to focus on recovery. Don’t allow to drown in fear of withdrawal symptoms. They don’t last forever and one gets support from specialists. Go for it! Get the help that you need. Also remember that where there is no pain, there is no gain. If you drink alcohol, this “flight or fight” function is depressed, thus you feel relaxed. When you drink, the substance is broken down in the liver by enzymes. This allows alcohol to be removed from the system through urine. Metabolized alcohol is absorbed by body parts such as the brain. When it gets in the brain, one experiences happiness and calmness. Nevertheless, if you drink excessively and frequently, higher amounts of alcohol gets absorbed in the brain. This causes symptoms of drunkenness like loss of coordination, slurred speech, and blackouts. Besides, some people develop tolerance and end up requiring more and more alcohol to experience such effects. After a long period of drinking, the brain adjusts to the suppressing effects. Therefore, when you quit the brain has to readjust again to normality which takes time and produces the withdrawal symptoms. They vary in every person. Many alcohol addicts are hesitant to stop drinking due to the fear of the traumatizing symptoms. However, medications and therapies are given to ease the symptoms. One might experience the withdrawal symptoms 2 hours after the last alcohol drink. However, the symptoms are more intense between 24-48 hours after the last drink. They can be the most difficult days of the recovery period. Symptoms may include insomnia, high heartbeat, high blood pressure, sweating, and fever, among many others. A headache, sweating, and nausea. The pupils might enlarge or be dilated. Abnormal movements of the eyelids. You might become irritable or you become excited easily by normal things. Difficulty in decision making and bad dreams. These are the severe symptoms of alcohol withdrawal. Not all people who experience it, and it occurs between 2-10 days after the last drink. It is a life-threatening symptom and one should see a doctor immediately they observe the symptoms which are inclusive of hallucinations, confusion, agitation/irritability, fever, seizures, tremors, excessive sweating, extra sensitivity to light, touch or sound, deep sleep that can last for a day or more, and feelings of restlessness after feelings of energy within short periods. A patient who has delirium tremens is hospitalized for some time to allow the medical team to regulate the symptoms and perhaps save his/her life. There are various risk factors that are associated with delirium tremens when detoxing from alcohol. Binge drinking or drinking excess alcohol prior to your detox time. Not feeding on a well and sufficient diet while recovering or drinking excess alcohol at that time. Injuries on the head can trigger the condition. Also, infections on the patient during the process can cause delirium tremens or worsen the symptoms. If one has ever experienced withdrawal, due to the fear they can experience the condition. Drinking heavily or frequently for the previous 10 years or more. The above might scare you but here is the good news. Alcohol detox is a painful process that is almost impossible without help. 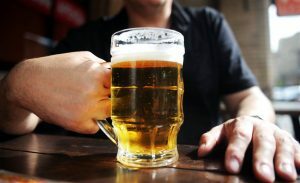 Alcohol addicts who attempt to recover on their own without any medical assistance have more chances of experiencing a relapse and less likely to quit again. Hence, most treatment centers prescribe some medications to help in managing the withdrawal symptoms, cravings, and relapses. The medications are not the only thing you need to detoxify, but it will help you go through the process comfortably without fear of relapse. Counseling, therapies-both individual and group, and social support are incorporated in the plan for a successful recovery from alcoholism. Each medication is prescribed at a different stage and treats a different symptom. Ensure you only take them as prescribed by the doctor. Taking them wrongly; at the wrong time, the wrong quantity, and inconsistently can worsen the symptoms and put your life at danger. The following are some of the drugs are proved by FDA to treat alcohol abuse, alcohol addiction, although they don’t address them directly. Antabuse, also referred to as Disulfiram discourages addicts from drinking by causing discomforts when you drink while taking it. One suffers from a serious illness. Antabuse is driven by the principle of aversion therapy in regard to behavioral psychology. It applies punishment (noxious stimulus) to inhibit the possibility of an individual repeating the behavior (drinking alcohol). Just like other drugs, it does not work directly and it requires total compliance from the patient for it to be effectual. Specialists encourage the patients to quit drinking and take the drug, or else the medication won’t work. One can stop taking the drug and drink their beer after 2 or 3 days and experience no effects. Disulfiram is more effective for individuals who have committed themselves fully to recovery but always struggle with strong cravings. It produces various effects such as throbbing headache and breathing, weakness, blurred vision, nausea, vomiting, confusion, chest pain, sweating, redness of the face, among many others. Antabuse is only administered when the body has removed all the alcohol from the system. If not, it makes withdrawal symptoms more painful. The effects of the medication can be felt even up to 14 days after consumption. This covers up the time in which one may forget or stop taking in order to feel the positive impacts of alcohol. Naltrexone or ReVia works like Disulfiram. It inhibits the positive effects of drinking. Naltrexone does not treat withdrawal symptoms of patients who are detoxing but can be taken consistently after detox to block the euphoric effects of alcohol in case a relapse occurs. Ideally, it is taken at the first stage after detox to prevent relapse. A headache and muscle pains. If the effects are severe, you should seek medical advice immediately. Moreover, do not medicate yourself before it is prescribed to you by a doctor or treatment specialist. Acamprosate or Campral is approved for reduction of cravings for people who are undergoing a recovery plan. Alcohol enhances the secretion of endorphins that create happiness or positive feelings. This a reason why most people drink, which eventually develops into dependency and alcoholism. Campral inhibits the neurotransmitters in the central nervous system which are responsible for such signals hence reducing the chances of a relapse. It is most effective if a person has not consumed alcohol for some days or two weeks. Although, its effectiveness is also dependent on one’s motivation to quit drinking and it may not stop one from taking alcohol. It has no impact on the withdrawal symptoms and thus should be taken after the body has purged out all the alcohol. Dry mouth and loss of appetite. Itching and difficulties in sleeping or insomnia. Benzos are depressants which are given to treat anxiety. They are commonly known as sedatives and can help in easing the withdrawal symptoms of alcohol. Benzodiazepines have proved to be effectual even in severe cases of withdrawal symptoms such as delirium tremens, hallucinations, and seizures. They impact on the same part of the brain as alcohol; allowing the body to experience similar effects as those of alcohol. Librium, Xanax, Ativan, and valium are some common benzos that are prescribed to treat alcohol disorders. Benzodiazepines are highly habit-forming and should be stopped as soon as the intense withdrawal symptoms subside. The doctor and other specialists conduct a comprehensive review of the patient. An interview is conducted to determine everything about drug use and addiction. At this stage, it is very important, to be honest in order to help the doctor in determining the best treatment plan for you. Most addicts are very secretive and don’t like sharing about their drug use behaviors, however, it is in now time to swallow that pride and pour out your heart to the doctor. Since some people can lie, in fact, most do, blood and urine tests are conducted. Also, the team asks you about your physical or mental health history. Although it seems like they are intriguing to your private life, know that it is important for them to know. Some mental conditions could have influenced one to use alcohol and hence they should be treated first before addressing alcoholism. After examining and evaluating the patient, the medical team stabilizes you by use of medications and therapies. In some facilities, family members and close friends can be allowed to offer the patient support during this step. In others, individual therapies are given to balance the body and mind of the patient. The last step of detoxification is the preparation of the patient for treatment. One is helped to relax and face the whole process with a positive attitude. Detox can take place in a treatment facility (inpatient) or you can detox at the rehab while you stay at home (outpatient). The choice is dependent on the doctor’s recommendation and personal preferences. It is the most recommended and common detox program for treating alcoholism. It involves residing in the rehab for the duration of the treatment. One is able to access medical specialists 24 hours. The environment is safe and allows you to rest comfortably knowing help is readily available regardless of the time. Individuals who are above 60 years of age usually struggle with detox. due to the painful withdrawal symptoms, one can develop health conditions that can cause death if not addressed properly by a doctor. People who are in this age should consider inpatient to ensure that they get all round clock medical care for complete and safe recovery. If one is suffering from a mental health condition and wants to detox, personalized medical treatment is the best. In inpatient rehabs, the specialists first address the condition before the start of detox. Counselors teach addicts how to face life issues without drinking alcohol and how to avoid triggers after recovery. Individuals who are combining alcohol with other drugs can face severe withdrawal symptoms that require constant medical care. The medical team is able to monitor closely all symptoms and any complications that might arise during detox. They will provide support in each step of the process. People with a history of heart, breathing, or liver complications are advised to consider inpatient detox. In case any problems come up during treatment, specialists are available to make any modifications that might be required. Such vital organs can be impacted by the drugs administered during detox and in the entire treatment plan. There are two main types of inpatient alcohol rehabs; inpatient residential rehab and partial hospitalization. The recommendation can depend on the severity of the alcoholism, the period you have been drinking, one’s financial capability, and personal preferences. Before settling down with your decision, weigh all the factors based on the benefit of inpatient detox. One stays in the rehab for 30, 60, 90 or more days. Though it is the most intensive form of alcohol treatment, it has proved to be successful in assisting people with severe alcoholism. In the first week, you will be assisted to get rid of the remaining alcohol in your system. This helps you to no longer experience the effects of alcohol in your body. Later therapies are offered to help you through the process and teach you skills to overcome addiction and maintain sobriety. This is a program that is in between an outpatient and inpatient program. It can be intensive just like residential rehab, though one goes to sleep at home at the end of the day. It is ideal for people whose homes are near a treatment facility and have a stable and supportive family. The frequency of going to the hospital can vary with hospitals. It can be daily for 6-8 hours. Although you will be allowed to go home every night, doctors monitor the withdrawal symptoms and all signs of a relapse. Also, they constantly check if you could be having any health conditions. Is the rehab licensed to offer the treatment you want, in this case, alcoholism? How long will the program take and what normally happens during the program? What specific therapies and activities are available that can be of interest to me? It is time to take control of your life now. Deciding to quit drinking is starting a new healthy and rewarding life which is alcohol-free. During that period you might face withdrawal symptoms such as headaches, insomnia, dizziness, vomiting, and anxiety, among many others. The period can be very difficult, but medications such as naltrexone, Antabuse, and benzos are prescribed to help in relieving the pains. Detox can take place in two different settings; inpatient and outpatient. Alcoholism is a serious addiction that should only be dealt with under the supervision of a specialist, hence inpatient is more recommended. Also, if you are above 60 years of age, have a mental condition or you are combining alcohol with other drugs, it can be very risky to detox on your own. Rehab in Orange County, All rights reserved.